Ivonne Said: This is absolutely gorgeous. 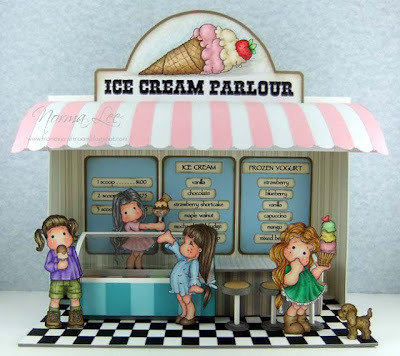 I love the beautiful ice cream parlour she has created, every single detail, from the menu to cute dog in the corner. The images are perfect for the cute little scene and the coloring is out of this world! I love it! Laura Said: When I saw this my jaw hit the floor! 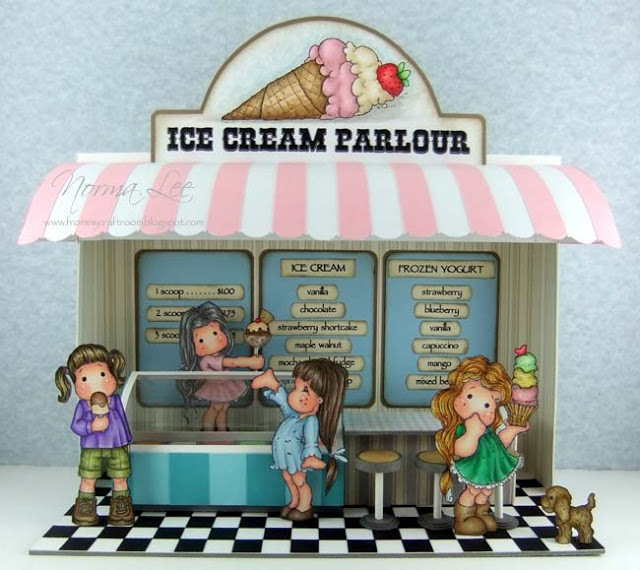 This has to be one of the cutest projects I have seen! I have been a long time admirer and fan of Norma's work and she never fails to impress with her stunning Magnolia Creations! This is absolutely amazing! 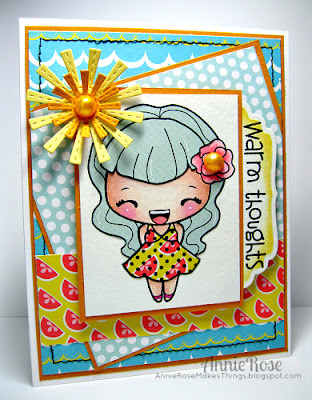 Shanna Said: The bright colors are fun and so is the technique she used! 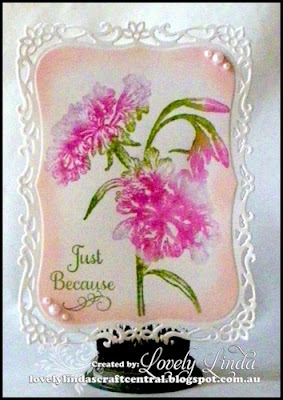 Ceal Said: - #27 is also a favorite of mine, love the lacy edge. Marcy Said: This is so beautiful! The way she created her beach sunset theme is amazing! Holly Said: Wow, what a fabulous scene she created and her coloring is so AMAZING! I am so in awe of her fabulous coloring skills and choice of colors. Lydia Said: All I can say is A M A Z I N G! I feel like I am on that beach with this one. Just perfect for summer! Dangina Said - I really enjoyed both images and the sweet layout. The coloring and DP are so awesome. Loved it. 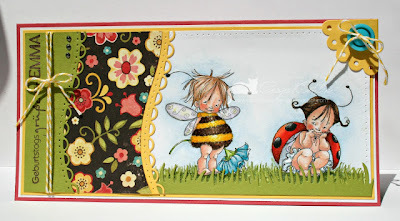 Olivia Said: Love the layout and the way she did that bumblebee outfit was fantastic..Great job. What stunning entries! Everyone did AMAZING and it was so hard to narrow it down to these! I had sent a mail ( was last favourite ) but did not hear anything.. Thanks for picking my card Ceal !! Woo-hoo...Ivonne and Laura, thanks so much for the favorite pick. Congrats to the other ladies.